Symantec, the owner of the popular Norton antivirus software and LifeLock identity theft protection service, stunned Wall Street by disclosing that its audit committee is conducting an investigation of the company. 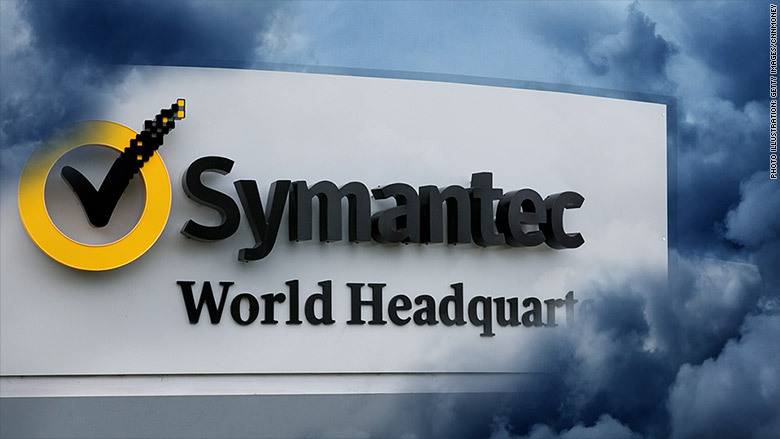 Symantec (SYMC) stock plunged 33% on Friday on the news. The company didn't provide details about the probe. In its earnings release Thursday, it said the investigation was "in connection with concerns raised by a former employee." Symantec said the audit committee has hired independent advisers to help, and that it has been in touch with the Securities and Exchange Commission. KPMG is Symantec's independent accountant. KPMG has come under criticism because it is also the accountant for two blue-chip companies with major financial headaches — GE (GE) and Wells Fargo (WFC). KPMG said it couldn't comment, citing client confidentiality requirements. Symantec didn't take questions about the probe during its earnings conference call. In fact, the company didn't answer any queries from analysts at all, leaving investors to speculate about how bad things might get. At least 15 Wall Street analysts had cut their price targets on Symantec by Friday morning, according to FactSet. MoffettNathanson analyst Adam Holt slashed his rating on Symantec to a "sell." He wrote in a report titled "This May Be Far From Over" that the probe "at best keeps us in the dark on disclosure for a period of time and at worst, results in further restatements." In other words, previously reported financial results could be lowered. News of the investigation erased all the gains Symantec stock had made in the past few years. Symantec had been red hot thanks to strong demand for its Norton and LifeLock products in the wake of the Equifax (EFX) data breach and other big cybersecurity lapses. Fortunately for consumers, there was no indication that Symantec's investigation had to do with the integrity of its products. Cynthia Hiponia, Symantec's vice president of investor relations, said during the conference call with analysts Thursday that the investigation "does not relate to any security concern or breach with respect to our products or systems."